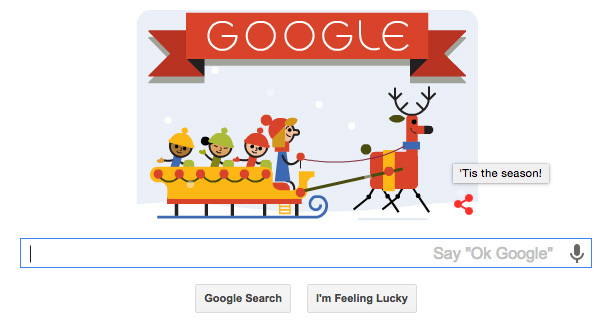 Google's Christmas Logos Message This Year : 'Tis The Season! Google has started their three day logo/doodle marathon for the holiday season, specifically the holiday of Christmas. Google always has nice logos or Google Doodles for the Christmas holiday, but often, Google upsets Christians by using a more generic message like Happy Holidays versus "Merry Christmas." This year, Google is going with the message of 'Tis The Season! Both the mouse over of the logo and the search result you land on when you click on the logo says "Tis The Season!" Do you think Google going with 'Tis The Season is more Christmas friendly?